Resorts in Ontario or Resorts on Lake of the Woods are great places to enjoy the best fishing in Canada, the best hunting in Canada plus incredible bird watching, nature photography, wildlife viewing and family vacations too. 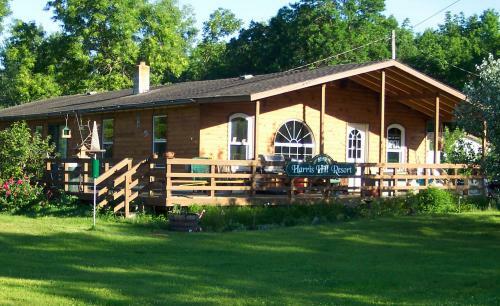 Our Ontario hunting fishing lodge is a quiet drive-to resort located on beautiful Lake of the Woods, Ontario, just 18 miles from the border crossing at Baudette, Minnesota, USA and Rainy River, Ontario, Canada. Our resort and main lodge are open 3 seasons; mid May to mid November. We have some store items for sale including ice, chips, candy bars and soda pop. We also have bait, tackle, fishing & hunting licenses, fishing & hunting guides. There is no Laundromat on site, but there is one in Rainy River ON & 2 in Baudette MN, only 17-18 miles away. 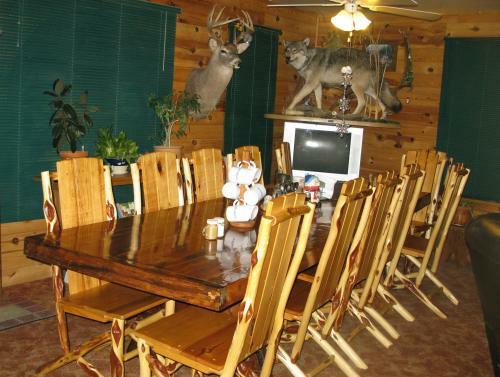 Meals served in the lodge can be arranged for those wishing "American Plan" fishing vacations, hunting vacations, family vacations or bird watching vacations. If on a meal plan "all Meals" is Breakfast at 8:15, a bag Lunch of sandwiches, dinner at 6:30. There is not a menu to choose from. If you wish to cook for yourselves, come enjoy your stay in one of our 7 lakeview housekeeping cabins complete with propane BBQ Grills and firepits or one of our 12 RV/camp sites. Please view our Ontario Fishing and Boating categories as well as our Ontario Hunting categories for all the details and rates. From inside or outside our Lodge here in Northwestern Ontario, you can enjoy watching the many species of birds (302 bird species known in the Rainy River Area) that come to our feeders, and viewing the deer grazing in our yard. Ecotourism Vacationers will love it here, especially enjoying all that Lake of the Woods has to offer. Bring the whole Family on Vacation - View our Activities Sections - for "Things to See & Do"
Our resort offers quality service, great hospitality, affordable rates, comfortable accommodations & a relaxing atmosphere.